If you are looking for something to bake on a cold winters afternoon, you cant go wrong with the wonderfully moist Apple and Cinnamon Loaf Cake. Even better, it is easy to make and this recipe makes two! Grease two 450g (1lb) deep loaf tins and line their bases with a strip of baking paper. Place the flour, baking powder and butter in a bowl and rub the butter in with your fingers until the mixture resembles fine breadcrumbs (this can also be done in a food processor). Stir in the sugar and cinnamon. Dice 2½ apples and stir into the cake mixture along with the eggs. Beat until combined. Divide the mixture evenly between the prepared tins. 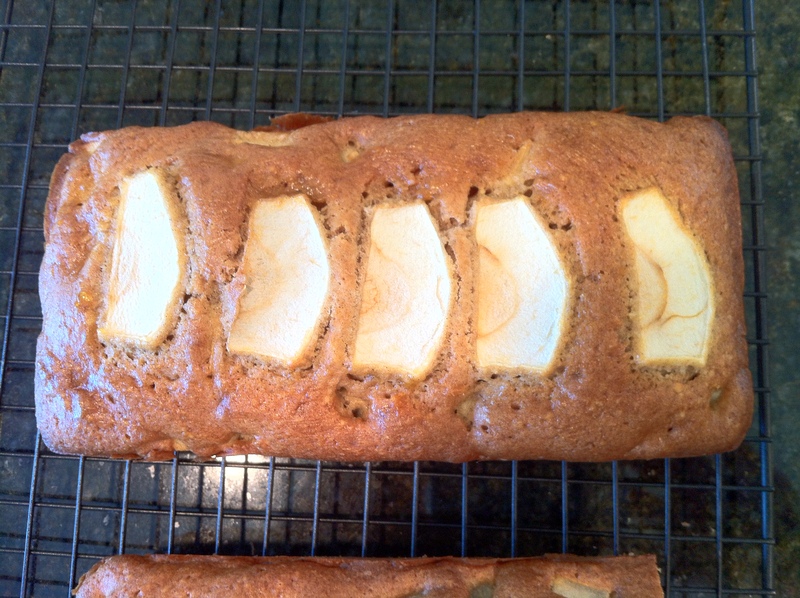 Thinly slice the remaining apple half and arrange in a row along the middle of each cake top. Bake for about 40-45 minutes until golden, risen, firm to the touch in the centre and just shrinking from the sides of the tins. Brush the tops of the cakes with the apricot jam. Allow to cool in the tins for 10 minutes then turn out and leave to cool on a wire rack. This cake will keep for 3-4 days in a cake tin. This will freeze for up to 3 months either as a whole cake or in slices layered between strips of baking paper.